Whether you are shopping for a small souvenir or furniture, unique arts and crafts or a pair of flip flops – you can find it all in Bryson City. 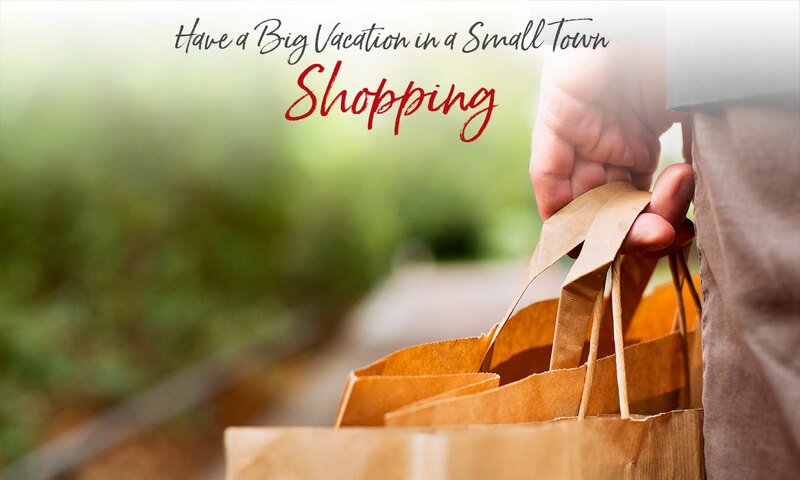 Our town may be small but we offer a variety of stores. if we don’t have it, you probably don’t need it. Guide to Bryson City Galleries & Shopping (pdf). Click or tap a category for a list of Bryson City area shops. Mobile users scroll down for results. From gifts and jewelry to home decor and novelty, Tickled Pink has it all. Stop in today - we promise you'll be "tickled pink" you did! Located on Fry Street, just across from the Great Smoky Mountains Railroad, Uncle Bunky's offers a large variety of t-shirts for every member of the family as well as plush toys, gifts, and other Bryson City memorabilia. Welcome to Bee Global, a working candle studio offering distinctive, handcrafted beeswax creations. Since 1996, we have combined the finest natural beeswax with quality craftsmanship to produce Bee Glow lanterns, award winning beeswax ornaments and pillar candles. Tour our website,www.beeglow.com,or stop by and visit our gallery. The Charles Heath Gallery is the working studio and main gallery featuring the work of American Artist Charles Heath. Being a native to North Carolina, Charles has kept his focus on capturing the images and scenes that he grew up with. He uses a variety of mediums including pastel, acrylic, pen and ink, and photography. Full line custom framing also available. E-Cigarettes and Vaping supplies. Liquids, batteries, Mods, tanks, Five Pawns Liquid, Vape Lounge and free service on all Vape devices. Address: 80 Hwy. 28 S.
Stecoah Valley Center is home to an Artisans Gallery, a Spring Bluegrass Festival, an 11-week Summer Concert Series, a Fall Harvest Festival, the Schoolhouse Cafe (seasonal hours), and a variety of adult classes from cooking to arts and crafts as well as business and technical assistance for artists. Swain County Farmer's Market is held every Friday, 9am - 1pm, at the Island Street Park, May through October. Shop for local, fresh produce, fish, breads, honey, preserves, and local crafts. Tuesday night market June through August 4 - 7pm. Address: 1654 Wiggins Creek Rd. Handmade functional pottery, uniquely crafted wooden clocks and pressed flower products for practical use. You are cordially invited to visit with us - browse through our rooms of pottery, baskets, old and new quilts, antiques, collectables, and much more. Restore your spirits, and relax in our front porch rockers. Located in Bryson City on the corner of Main and River Streets. Take a virtual tour. Address: 2300 Governors Islands Rd. A family-owned and operated farm for more than thirty years, that specializes in sustainably grown appalachian fruits and vegetables. Our farm is located on an oasis surrounded by the Tuckaseegee River, bring your family and let our farm be yours. Antique market with numerous dealers and consignors. Featuring a wide variety of antiques, vintage items, collectibles, and repurposed items. Specialties include furniture, glassware, home decor, rugs, quilts, advertising items, jewelry, industrial, cast iron, and kitchen items. Only local dealer of Old Crow Soaps. We buy individual pieces as well as estates. Take a virtual tour of the market. Utilizing both traditional and oriental techniques -- and sometimes employing American Indian motifs -- Ms. Ellison depicts the varied wildflowers, animals, human inhabitants, and landscapes of the Smokies region. She was recently the subject of a "Carolina Camera" CBS-TV profile syndicated to affiliated stations throughout the eastern United States, and Elizabeth Ellison Watercolors was one of the establishments selected for inclusion in Fodor's Guide to the National Parks and Seashores of the East (1994). Calby's Antiques and Gifts is located in the Historic 1905 Bennett's Drug Store building on Bryson City's picturesque Everett Street. Calby's offers a unique blend of antiques, collectibles and gifts; specializing in china, silver, glassware and decorative items, as well as jewelry and small furniture. Open Monday through Saturday. Handcrafted works of gourd art, with many featuring basketry and utilizing all natural plants and materials such as rattan, cane and sea grass. Stop by the studio to watch Joan work on her unique designs. Some gourds are sold with easy to care for tillandsia air plants. Hand painted art and traditional music. Jackson's General Store offers a wide variety of gifts, apparel, jewelry, and more. Opening in a new location in 2019! Allyson Gernandt is an award winning silversmith who creates handmade and custom earrings, bracelets, pendants, and rings both with gemstones and without. 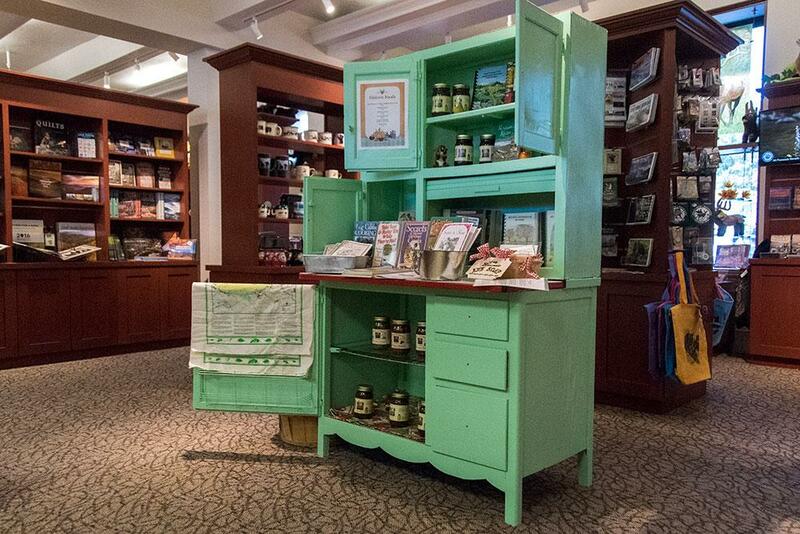 The Great Smoky Mountains National Park visitor information center and bookstore offers books, maps, clothing, historic food, toys, convenience items, and gifts. The store is operated by the Great Smoky Mountains Association, a nonprofit organization that has been helping the Park since 1953. All purchases benefit the educational, historical, and scientific efforts of the park. Located in the Swain County Heritage Museum in the historic courthouse in downtown Bryson City. Hometown Ford dealership featuring new and used cars, full service department and friendly staff. Address: 526 Davis Branch Rd. Whimsical and inspirational hand chosen and hand painted stones and rocks. Our belief is that rocks and pebbles are charged with positive energy from the sun, water, and Earth. These stones help bring that positive energy to gardens, offices, homes and have been described as a "settling, calming, soothing accessory." Handmade mountain dulcimers, guitars, mandolins, irish bouzoukis, citterns. Whimsical and unique, the Loose Moose offers a large selection of souvenir t-shirts for all ages and sizes. Store features many local and made in America products as well as an ever changing selection of jewelry, toys, games and gifts. From seasonal clothing for the outdoor enthusiast to moose and bear themed household gift items, the Loose Moose is your one stop shopping destination in downtown Bryson City! Buck and Squaw Crafts INC. Downtown cherokee this shop has a varity of merchandise which includes Moccasins, Jewelry, and much more. Open from Mid-March to January 1st. Address: 1021 E. Main St.
Signs, screenprinting, trophies, engraving, plaques, awards, magnets, and much more. Quick, reliable service with installation services available. If you looking for a Full Line of Mattresses, Hot Tubs or Furniture check out Mattress USA. Custom created signs for your home or business. All signs are routed, carved, wood burnt, or painted on red cedar. Publishers of adventure guidebooks to the Great Smokies and surrounding mountains, including motorcycle touring, hiking, whitewater paddling, rockhounding, family adventures, road bicycling, and Jim Parham's popular "Off the Beaten Track" mountain bike guide series, all available at our on-line store. Husqvarna sales and service for all small engines. Your hometown gift store featuring unique inspirational gifts, local honey, candles, home décor items, and more. We also offer ministry supplies for schools and churches as well as custom printing. We want to celebrate each day with you and make all your occasions and events special. We look forward to serving you. In his presence. The self proclaimed "coolest" store in downtown Bryson City, come and see for yourself. Shop our selection of outdoor gear that will help you hit the trail, water or campground. Looking for a local t-shirt or hat to take back with you? We design all of our own! Visit our craft beer taproom & bottle shop to enjoy a rotating selection of 10 draft beers/ciders and 200+ beers/ciders to go. Cherokee Office Supply provides all you need for your home office or your corporate workplace. Contact the courteous staff for a personal visit, order online, or fax your order in - we make it easy for you to stay connected and in business! Browse Gallery Zella’s Showrooms – 25 artists in 4 showrooms in the 104-year-old, newly restored Citizens Bank Building, a must-see downtown landmark. Original paintings by internally renowned masters as well as regional and local favorites. Sculptures and photography, plus unique gifts, books, artisan jewelry and decorative art. Meet the Artist Receptions throughout the year. Take a virtual tour of the showrooms. Distinctive Free-Hand Art and pinstripes on motorcycles - done while you wait! A working farm and pottery studio, Yellow Branch Pottery and Cheese offers distinctive, handcrafted cheeses including Yellow Branch Farmstead Cheese, Yellow Branch Pepper Cheese and Yellow Branch Natural Rind Cheese. 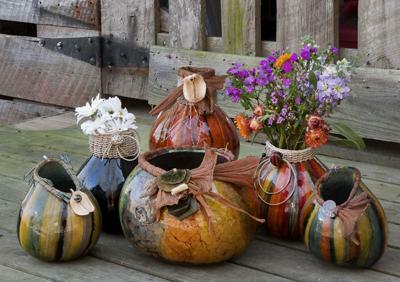 In the pottery studio and gallery you will find items ranging from table ware, sculpture and ornaments. Farmhouse style, country decor and home accents tucked in a cute little nook inside Dana Cochran’s Photography Studio, located in downtown Bryson City. Fans of HGTV’s Fixer Upper can get their fix in this shop! Custom signs, banners, decals, store fronts, vehicle lettering, and more. Art Explorations was designed to offer art classes for every one of all ages and skill levels or for those who just want to have fun trying something new. Instructor Melissa Owens is a flourishing artist who endeavors to share her love of art with others by passing along her gained knowledge of several art mediums including: acrylic painting, oil and pastel chalks, sketching, drawing, colored pencil and several other mediums and various crafting skills. Montagne Handwoven’s subtly designed, meticulously crafted rugs are custom woven to fulfill each client’s specific design objectives. Hand-dyed, handwoven, and hand-finished, Montagne Handwoven rugs combine traditional weaving techniques with complex but delicate use of color to create an effect that is at once timeless and modern. McClanahan's; an upscale general store filled with beautiful and unique gifts for everyone in the family. Shop an extensive inventory including home decor, glassware, women's and men's apparel, boots, shoes, handbags, and much more - including Brighton and Waxing Poetic! Looking for accommodations? Try the luxury lofts upstairs! Address: 645 E. Deep Creek Rd. Operating out of a renovated vintage 1967 Avion travel trailer, Southbound Mobile Boutique offers a collection of stylish, quality women's apparel and accessories. The Boutique can often be found around Bryson City and is available for private shopping party bookings. Offering a unique line of clothing, shoes and accessories. Great selection of plus size clothing. A shop of style for everyone for forty years! High quality and authentic native American wampum, turquoise, and silver jewelry handcrafted by General B. Grant(Eastern Band of Cherokee Indian) and other artists from different tribes. Also available are arts and crafts from Native American artists throughout North America and Canada; sculptures, paintings, knives, beadwork, pottery and much more. Sales and service of name brand tires. Minor service work including oil change and disc brake work. Business hours are 8:00 am - 5:00 pm Monday through Friday and Saturday from 9:00 am - 1:00 pm. A small town store where Quality means Quality and Service means Service! Address: 1025 Franklin Grove Rd. Your local contact for Pampered Chef; a lifestyle brand which exists to help you enjoy the moments most important to you and yours by inspiring satisfying, stress-free meals fit for the way you live. The Local Market is your friendly neighborhood convenience store. Not only do we serve a wide variety of deli offerings, but you will also find all of your daily grab-and-go essentials, as well as many local products. Built for our customers, our philosophy is simple, "we are neighbors you can count on." Bookstore shelves are stocked with used books on a wide range of topics, best sellers, books by North Carolina authors, oldies and autographed books, children’s books, puzzles, videos, DVDs and magazines. All items have been donated. The bookstore is open 10 a.m. to 4 p.m. Monday – Saturday, with extended hours planned for the future. Donated materials and volunteers are always needed. Clampitt Ace Hardware/N.C. Clampitt Hardware Co.
Two hardware stores. ACE is a full service store including lumber. The Old Clampitt's store was established in 1935 and not has not changed much since. From buggy whips to washboards, churns to cow bells, you'll find a lot of interesting stuff at Clampitt's. Take a virtual tour. Pursenality is "a unique purse and accessory boutique" located in downtown Bryson City adjacent to the Great Smoky Mountains Railroad. We offer several lines of purses, jewelry, apparel and specialty gifts.